As a local real estate professional a commitment to client satisfaction is a top priority. Whether you are considering purchasing a home, or selling an existing property, an outstanding level of service is guaranteed with me representing you in your next real estate transaction. I provide real estate services in Ormond Beach, Port Orange, Palm Coast, Daytona Beach, Holly Hill, South Daytona, and in other local real estate markets. Addam did an outstanding Job getting me my first house! He did everything from find houses to recommending good inspectors and a great mortgage broker. He worked around my schedule and showed me every house I wanted to see. After deciding to put an offer on a house he got the sellers to build a fence AND pay closing costs. On top of that, I used a VA home loan so I literally did not pay a dime to get in the door except for inspections. I also closed in 30 days. He could not have made things go any smoother. I have nothing but great things to say about this guy and would recommend him to anybody looking to buy a house. Especially any nervous first-time buyers like myself. Bought and sold a Single Family home in 2016 in Ormond Beach, FL. Addam was wonderful to work with. He was patient and kind during the entire process. He was honest and upfront with every question we asked, you could tell he had our best interest at heart. Addam was knowledgeable about his work, and he had all the answers, abilities, and connections to make our entire process smooth and stress-free. He helped find our dream home and we couldn't be happier. Furthermore, he gave us advice on how to make our former home more desirable, which resulted in an immediate sale over asking! Addam was awesome to work with. He was always quick to get back to me with answers to any questions we had. Sold our home very quickly. He was very professional and always courteous. If I ever have to sell a home again, we would def ask for Addam. Bought a Single Family home in 2016 in Ormond Beach, FL. Was searching for a house in Florida and had a realtor who didn't have my best interest at heart. I met Buzzy and after talking with him for awhile I knew I found the right realtor. Buzzy is very professional, personable, knowledgeable and caring about the needs of his clients. The purchase of the house couldn't have gone smoother. Sold a home in 2017 in Tomoka Estates, FL 32174. As a seasoned real estate agent, entrepreneur, broker and expert in the marketplace, I placed all my trust in Buzzy to sell my home in less than 4 months. Buzzy met all my personal goals, my home sold in less than 2 1/5 months, and the process was seamless. I was away most of this time traveling, and when matters arose needing my immediate attention, I entrusted Buzzy to handle on my behalf, until I could be in touch. My buyer had to extent the closing date, which conflicted with my scheduling. Yet to accommodate the buyer and settlement, I closed early and Buzzy served in my absence on closing day. It gave me peace of mind knowing all would be in good hands with him, his team and my home. Very impressed with Buzzy's genuine and accommodating personality and special touch on the real estate profession. Sold a home in 2015 in Tomoka Estates, FL 32174. Sold a Single Family home in 2017 in Ormond Beach, FL. Absolutely. Addam was very professional. I have recommended him to friends. Addam goes above and beyond to meet your specific needs. We truly appreciate all he did to sell our house. Bought and sold a Single Family home in 2000 in Daytona Beach, FL. Bought and sold a Condo home in 2017 in Daytona Beach, FL. Buzzy helped my family buy and sell 3 homes this year, we have worked with him for more than 20 years. His honest and straight forward approach is always welcome. During that period my family has bought and sold more than 15 properties and we don't find need to look elsewhere. This guy and his team are incredible. They have helped me purchase 2 homes now and I wouldn't ever call anyone else again. Always available on my schedule and reliable for everything. This team doesn't hide anything and are very up front with honest advice that has helped me tremendously. Sold a Single Family home in 2016 in Ormond Beach, FL. Addam Ralston is the REASON that our home sold and without his expert advise and diligent efforts (through 2 offers) with the Buyer to finalize the closing, we would NOT have sold our home. What can I say.......I have bought 2 personal homes from Buzzy and team. I am also an investor. I have bought upwards of 30 homes from Buzzy since 2008. Can't beat his knowledge, his humor and his straight forward approach. He tells it like it is.....and you should listen. No better expert in THIS field around. Bought a Single Family home in 2011 in Ormond Beach, FL. I used Mr. Ralston as the realtor to purchase a home. Addam knew the area well and made my home purchase painless. Addam put extra effort to assist me with all of the extra work you need to purchase a home. Our associate, Addam Ralston, was absolutely the best! He was responsive, helpful, knowledgeable, - and honest! I could always count on getting a straight answer from him, even if it wasn't always what I wanted to hear! Our path to new home ownership was unusually long and challenging, but I don't think we would have been successful in the end if it hadn't been for Addam seeing us through to the long-awaited closing. Thanks so much Addam, you're a real pro! Sold a Single Family home in 2015 in Ormond Beach, FL. Bought a Single Family home in 2015 in Ormond Beach, FL. When new to the area we called and asked to see a home. We received immediate attention and within 15 minutes were in the home. We actually did this a couple times and he was always pleasant and accommodating. When we called or texted, all questions or concerns were answered very fast!! No waiting or wondering!! We were provided with a personalized web search to assist us in finding the right home. We were given local information to disclose facts about the neighborhoods, town, shopping and schools. All critical portions of selecting the right home!! When we needed help with insurance, mortgage, inspections, and all other facets of a purchase, we were provided with choices and recommendations of local professionals. Very convenient!! We were so happy with our service that my in-laws also purchased a home with his assistance!! I would strongly recommend the service of the Buzzy Porter professionals. Sold a Single Family home in 2015 in Daytona Beach, FL. ADDAM RALSTON- This is the guy you want on your side when things get crazy. Highly professional, and available literally 24 hours a day 7 days a week. He advertised better than anyone in the area. He knows the market and he knows the community. We had some drama with the buyers agent, but Addam was by my side from the beginning to the end. If I ever want to buy or sell real estate in Volusia county, I will call Addam Ralston. He was SPECTACULAR in marketing, negotiations and closing. Thank you!!! Bought a Single Family home in 2012 in Ormond Beach, FL. Adam Ralston was a great realtor!!!!!! Adam helped me find the perfect home. He also helped sell another home of mine. Both processes took less than 3 months ,that was the best part!!!!!!!! Bought a Single Family home in 2015 in Daytona Beach, FL. Bought a home in 2011 in Tomoka Estates, FL 32174. I would recommend buzzy to anyone looking for a realtor. We switched from another realtor to him because we had a hard time getting the last one to return calls in a timely manner. Buzzy is right on top of things and calls back quickly. He's a go getter! I am very impressed with him and will always use him in the future and tell everyone I know that he's THE realtor to use! Bought a Multi Family home in 2015 in Palm Coast, FL. Sold a home in 2015 in Daytona Highridge Estates, FL 32124. Buzzy was fantastic! He made this stressful process a quick and easy experience. I had an offer after just 4 days of listing! Buzzy took care of everything that needed to be done. I would definitely recommend him to take care of your real estate needs. If you are looking for a realtor with patience, a no-pressure attitude, and home grown knowledge of the area while you are searching for your dream home you should use the Addam Ralston/Buzzy Porter team! Addam really listened to what I was looking for and more importantly what I wasn't looking for. I have already recommended him and will continue to do so! Bought a Single Family home in 2015 in Palm Coast, FL. With this being our first house that we purchased my fiance' and I were very lucky to have run into Addam Ralston at Realty Pros. Addam was nothing but the utmost professional in every way imaginable. Addam was very patient with us from the start, and to the day we closed on our house. He never pushed us into looking at something we didn't like nor want. Addam was also very communicative during the entire process, whether it was through email or telephone, he always kept us in the loop, and never left us out of anything. I could call Addam at any time during the day and he would respond immediately with any questions that I may have had. Addam is a very honest person, told us the truth with every house that we looked at. I asked for Addam's opinions on a lot of things with each house, and he gave me a straight answer every time. We are now in the very own comforts of our home as I write this review to a much deserving Realtor in the name of Addam Ralston. With the entire process we went through and all the horror stories I have heard, Addam made this a piece of cake. We both communicated frequently, and we were able to close on our house 2 and a half weeks early due to Addam's constant work ethic to get us into the house we wanted ASAP. Even with this being the first home buying experience in our lives, I will honestly not go to anyone else but Addam Ralston at Realty Pros located in Ormond Beach, FL. Thanks for everything Addam! Our experience working with Addam Ralston, Buzzy Porter's associate was very good. We purchased a home through Addam and based on the positive experience, we contracted with Addam and Realty Pros to sell our existing home. The process was pleasant and the outcome was positive. Addam and his associate are very professional. Addam was very quick to respond to all calls, emails, and texts. Addam had great advise for helping us sel our home in a tough market. Recommend Addam Ralston and the Buzzy Porter agency. Sold a home in 2015 in Blake, South Daytona, FL 32119. Worked with Addam Ralston on several properties, excellent service! Very reliable and dependable. Highly recommended. Assisted with selling and buying several homes beachside Ormond /Daytona Beach. Bought and sold a Single Family home in 2015 in Daytona Beach, FL. I have been doing with Buzzy Porter for more than 15 years and the total experience has been nothing but good! He is actually from the area and knows everything you need to know about the area you are searching in or can recommend an area when you tell him your requirements. He is the BEST ever to answer the phone or call back immediately. You never have to wait days to get a response. He knows the process of buying, sellings, and closing your deal in the best way possible for you. I have bought and sold approximately 35 properties from him with nothing but excellence in each one of them. His advertising skills and exposing your property is excelled by none. He knows how to get the job done. He has a staff that is great also. Absolutely the BEST in the business! Had previously listed with another Realtor for 6 months. Buzzy got more traffic the first 30 days than the other Realtor did during their 6 month listing. He was able to obtain 2 offers and an acceptable cash sale within 2 months. I would highly recommend Buzzy for all of your real estate needs. Bought a Single Family home in 2014 in Ormond Beach, FL. Buzzy and his team are easy to work with , fast and efficient! I have no issue recommending them to friends and family. I was taken to any house I wanted to look at promptly and moved on to the next as need. The closing was also nice and easy. Hands down the most amazing realator! They worked with us for a year always answered all of our questions, and were always available day or night to help hold our hand through the entire process! They listened to what we wanted reguarding price we were looking to spend, making sure we were in a good school zone for our children, and even did research on the neighborhood where each house we looked at was to make sure the crime rate was very low and it would be safe to raise our family in. He sat and talked with us on prices and helped us negociate on our offers and when he thought we should walk away if they were asking an unreasonable amount. He did research on the house we now own and called the city and got a detail history on the house and let us know when everythinh was built and gave us all the information on permits and the age of the structure. He was extremely helpful and had an incredible amount of knowledge about the city and all of its positive attributes. We would recommend them to anyone looking to buy a home or sell their home. Hands down the best company to help you with all of your needs in the state of Florida! Bought a Single Family home in 2013 in Ormond Beach, FL. Buzzy and his team were true professionals. 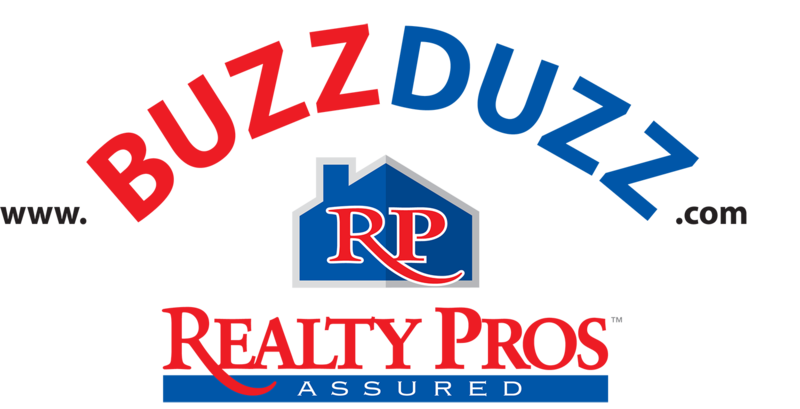 They helped knew all about the local neighborhoods and helped me find my dream home definitely recommend Realty Pros, Buzzy, Bill, and Addam.